I love b/w photos(there's just something about them, i can't put my finger on it) they seem to capture more than color photos. Your site is very well done. You are definitely a master photographer. Keep up the good work. The photos / I collect press-kits, which usually include quite a bit of photography. I know a LOT of Halloween fans, possibly thousands that would pay almost anything for a book of TONS of photos from the set of Halloween 1 and 2 so I do hope things go your way and you can make it happen!!! Read your interview and saw those great images on Halloweenmovies.com. Thanks for doing that. I hadn't realized so many stills were taken on Halloween! I can tell you, there's such a fan base for this franchise and if you were to bring out a book of all your behind the scenes shots of the cast and crew for that film (and H-2), it would surely be bought by all of us! I'd LOVE to see that book come out some day! Anyway, thanks again for the interview and good luck finding those negatives and transparencies. Thanks so much for sharing your work! I'm a huge fan of the original "Halloween" and John Carpenters work. I've always been curious about the still photography taken on that film. The PR photos escpecially seem to capture the positive energy of the behind-the-scenes we've heard so much about. I've been through your entire gallery and my only complaint is that there isn't more here. Looking forward to your book(s). Keep the updates coming!! More obscure "Halloween" shots. Anything from your film or television work! 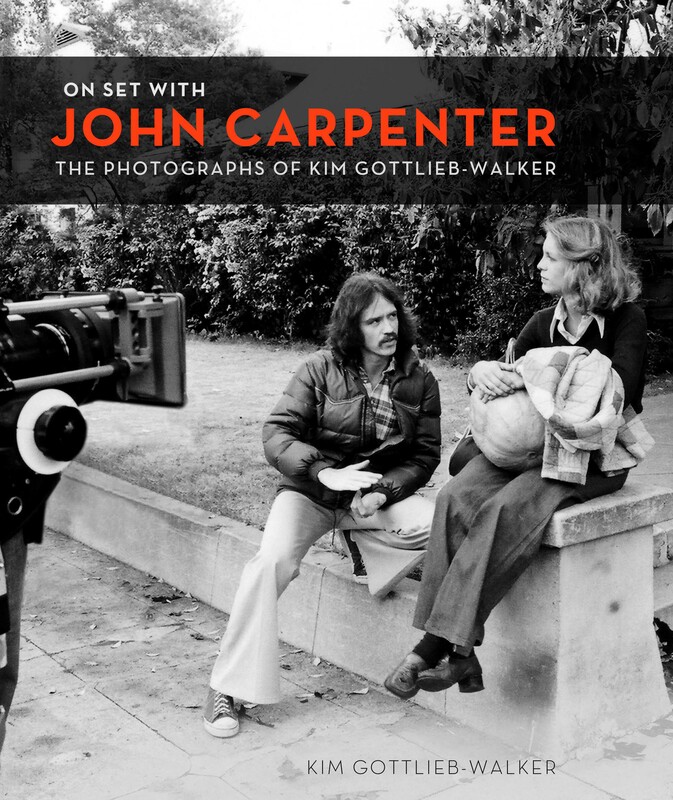 I love the idea of you doing a book of the photos you took of John Carpenter's films, with him writing a bit about them all. I found your site from the Halloween site link. I've loved some of those images of yours from the Halloween films for years. The shot of Warlock framed in the door is a classic. Finally I can say "My best to the photographer!" I've been an amateur for years - having done portraits and rock concerts, I have deep admiration for your work in those areas. Your black and white is splendid. I just read your interview on halloweenmovies.com. You seem like a very interesting person. And it's nice to see that you were honest in your feelings about Rick Rosenthal. Reading your interview, I thought back to one of my favorite still photos from Halloween, which is the one of Jamie Lee kissing Michael with his mask on. It really gives a sense of how laid back the set was and that in the end, whether the movie bombed or not, it was fun to do and to a once in a lifetime experience for everyone. I hope you are able to find those negatives and publish your book about working with John. I will definitely buy it the moment it goes on sale. I'm not sure. Your site is so great. But maybe some more photos where people don't even realize you're there and it just looks random. Those are always the ones that show the most emotion and give an idea of what the subject is really like.